Shy and reserved By and large, Parsis are non-combative. Are known to be polite and courteous. Not show-offs Parsis don’t flaunt their wealth, have an understated style. Believe there is something more important than that —enjoying life to the fullest. Content lot Not known to be overly ambitious. Most Parsis are well-to-do enough to feel contented. At the annual festival of Wilson College last year, a writer for the Parsi Times, a local community pullout, decided to have a bit of fun. A ‘PRS Bike Race’ was being held as part of the festival, sponsored by the Performance Racing Store. The next edition of the newspaper carried a front-page piece on how the “Parsi Racing Society” had “sponsored” this event and that “full credit should be given to Parsis for organising a racing event”. “If there’s any community that happens to be more jovial, quirky, contrarian and unpredictable, I’ll be extremely surprised,” says a man who enjoys the company of his many Parsi friends. Mumbai’s history is interwoven with the history of Parsis: a bulk of the minuscule community still lives in this metropolis. Some of the largest plots, real estate and businesses belong to Parsis. In several historical accounts of Parsis, there are references to how the British found Parsis easy to deal with and even a bit like them in manner, education, even eccentricities. Later, the British came to see them as efficient at work, honest and reliable. Arun Kejriwal, director of Kejriwal Research and Information Services, recalls a Parsi trying to buy a house in Mumbai some years back. The builder refused to sell the property unless part of the payment was made in cash. The Parsi withdrew the required sum from a bank and wrote down the date, the builder’s name and other details on the counterfoil. Later, when the income-tax department questioned him about the transaction, he explained the circumstances and produced the counterfoil in evidence. They readily believed him. “Given the goodwill the community enjoys, they accepted his word and let him off. Later, it was the builder who was questioned,” says Kejriwal. Says Benaifer Shroff, a senior office manager at a leading multinational firm, of her community’s “types”: “I think there are two types of Parsis—the really good ones and the really annoying ones. The really good Parsis will be honest to a fault, friends for life. The annoying ones will be out-and-out rogues. There are no grey areas with Parsis.” Generally, Parsis are honest, almost blunt; non-Parsis who have worked with them say that, even if you are the closest of friends with them, there’ll be a point that cannot be crossed. Most Parsis tend to be reserved and understated, generally happy with life; they maintain a healthy work-life balance. “It’s that thoda hai, thode ki zarurat hai attitude. Most Parsis have a laidback attitude, are happy with life, happy with what they have and manage to have a balanced life,” says Shroff. They love to laugh at themselves, at life and at their own community. Kejriwal speaks of a Parsi classmate from Campion school in Bombay, who the boys would tease by calling him half-witted; he’d retort that he’s grateful he didn’t turn out witless, for his parents happened to be first cousins. The boy went on to become a top lawyer in the UK. Strangely, the older generation of Parsi entrepreneurs who set up business houses—the Tatas, Wadias and Godrejes—haven’t found enterprise flowering in the younger generations. 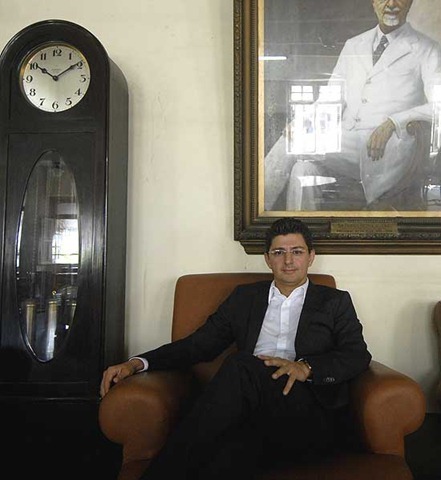 Most young Parsis seem content with handling family-owned businesses, expanding them or changing them to suit the times, but rarely venturing to create new businesses. These days, young Parsis are keen to take up professions, like medicine, law, architecture and education. There are a few exceptions, though, with the new generation showing more ambition. Boman Irani, 43, founder-chairman and managing director of the Rustomjee Group, a real estate firm, says he has benefited from his Parsi lineage. The company’s name—it’s named after his father—marks it out as a Parsi company, and people tend to trust and feel comfortable with it, he says. Irani believes it’s his responsibility to make sure that his customers and employees are well taken care of as long as he heads the business. He recalls an old gentleman reminding him at a Parsi conference that if a business was not conducted the Parsi way, it was not the right way. One thing Parsis are not is clannish. “A Parsi will not hire another Parsi just because they belong to the same community. He will first weigh the advantages and disadvantages. This is unlike any other business community,” says a Mumbai-based headhunter. In the business sense, when it comes down to it, profit comes up trumps. They are known to be extremely stubborn. “It’s next to impossible to change the mind of a Parsi businessman who has made a decision, unless you present a compelling argument,” says Kejriwal. n around Cyrus P. Mistry, Ratan Tata’s chosen successor. He belongs to the Pallonji family, who are so reclusive, says an insider, that “you need a microscope to find out where they are”. Mistry’s track record is primarily in Shapoorji Pallonji’s construction business, which he heads. Now he has the chance to be a new-gen flag bearer for an old business community.